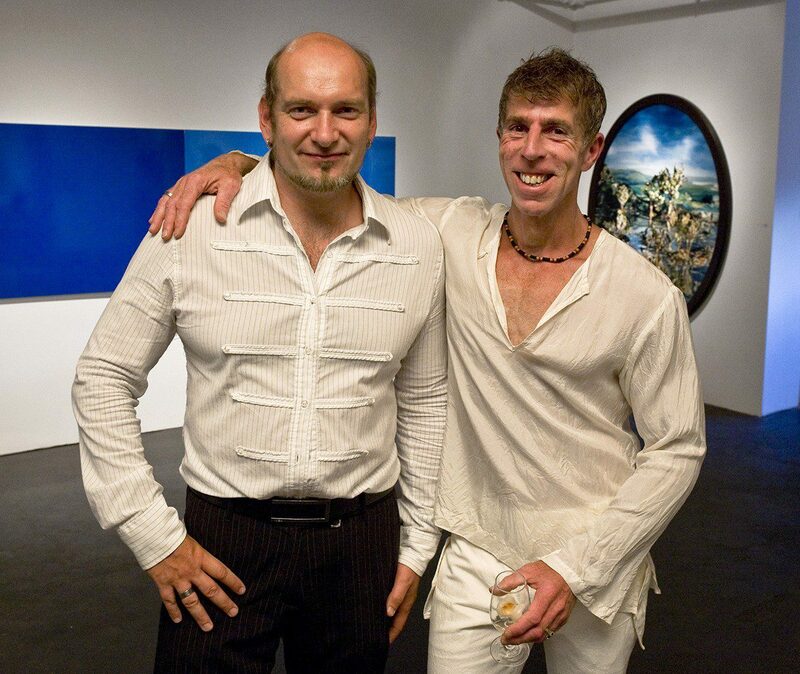 Rhéal Olivier Lanthier and François St-Jacques are a duo of independent curators as well as co-directors and co-founders of Art Mûr gallery and Éditions Art Mûr Publications. Lanthier chaired as the president of AGAC (the Association of Contemporary Art Galleries) for five years between 2008 and 2013. Through their function as directors of Art Mûr, Lanthier and St-Jacques have carried numerous major exhibition projects that were warmly applauded by critics including Art Fiction (1996), Memento Mori (2011 with 18 artists from Canada, the United States, the United Kingdom, France and Germany), Mens-Moi / Please Lie to Me (2011 with 20 artists from Canada, the United States, France, Mexico and China) and Mapping the territory / A Stake in the Ground – Demonstration of Contemporary Aboriginal Art (2012 with 25 native artists from Canada and the United States). More recently, they independently curated Qui suis-je: L’identité autochtone au 21ième siècle at the Maison des Jésuites in Québec City (2013). 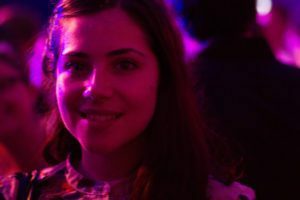 Anaïs Castro is an art critic and curator based in Montreal and Leipzig. She holds a BFA in Art History from Concordia University and a Masters in History of Art, Curating and Criticism from the University of Edinburgh in Scotland. She previously worked as the Assistant Curator of Kirsten Lloyd at Stills, Scotland’s Centre for Photography and has led multiple curatorial projects, including Self Abstraction, The Tip of the Iceberg, Moving Still | Still Moving, #self presented during the Art Souterrain festival, Staging the Scene: La mise en scène photographique presented for the Curators’ Tour of Montreal’s Mois de la Photo in 2013 and Porcelain: Breaking Tradition presented in Montreal and Toronto. This last exhibition was nominated for an award at the 2014 Gala des arts visuels du Canada. As well as these independently curated projects, she writes for various magazines, including thisistomorrow, esse arts + opinions, Espace art actuel, Vie des arts and Line Magazine. Mike Patten is a multidisciplinary artist and independent curator living and working in Montreal. Born in 1977 in Regina, Saskatchewan, Canada, of Cree and European decent, he is a member of the Sakimay First Nation. He holds a BFA in painting and a BFA in drawing with a minor in art history from the University of Regina. His work was presented in solo and group exhibitions nationally and internationally at various institutions including: LOOP international video art Festival (Barcelona, Spain, 2007), Platform centre for photographic + digital arts (Winnipeg, MB, 2009) and Pierre-François Ouellette art contemporain (Montréal, QC, 2006). His most recent curatorial project titled Storytelling was presented at both Art Mûr and the Art Gallery of StewartHall as part of the second edition of the Contemporary Native Art Biennial – the only biennial exclusively dedicated to contemporary native art. Patten invited twenty-five artists from all over North America to investigate the importance of storytelling in native cultures. Suzanne Viot is a curator and critic from France established in Montreal since 2016. 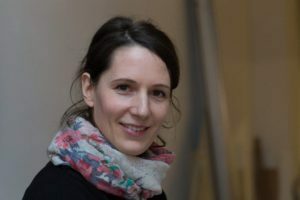 After a stay in Madrid to obtain her Master’s degree in History of Contemporary Art, she worked for ten years in Berlin in intercultural pedagogy, dance and visual arts. In France, she created and implemented artist residencies, exhibitions and multidisciplinary projects (including Melting Point in 2012, and Les 100 ans du 68 in 2013). In addition to her professional activity in the management of cultural projects, she collaborated with several French and Quebec press editions. Orginally from Bulgaria, Sonia Stoeva now lives and works in Montreal. She studied at the National Academy of Art in Sofia. In 2009, after many collaborations in Montreal and in Europe, she founds the collective Ivanostoeva with Dimo Ivanov. They were awarded many bursaries from Conseil des arts et des lettre du Quebec and the city of Montreal. They have presented their work in Chicoutimi, Gatineau, Sutton and in Montreal during events such as Art Souterrain (2013) and the Biennale Internationale d’art numérique (BIAN 2014).